A marine VHF radio is the most basic piece of safety equipment to have on board. A properly installed VHF radio will allow communications to receivers up to about 25 nm (more or less, depending on immediate surroundings, antenna and atmospheric conditions). It is the principal method of communication for safety and for search and rescue services. Lets deal right away with a common objection to having a VHF radio: “Why do I need one? I have a cell phone. Isn't that just as good?” The short answer is 'NO'. The long answer is 'NO – it could cost you your life.' Here's why. 1.) A marine VHF radio is 'broadcast', meaning it is heard by many over a wide area. More people than just the Coast Guard will hear your call for assistance. A cell phone is 'narrowcast', meaning just one person may potentially hear your call. That person may or may not answer, may not know what to do or may do something that simply is wrong. This could cost you and your guests their lives. 2.) Coast Guard (Canadian and US) can use your VHF radio signal to triangulate your position, even if they cannot decipher your complete message. This is impossible to do with a cell phone signal. 3.) A VHF radio has a far greater broadcast range, allowing many more people to potentially hear your call for help. Even if someone who hears you cannot help, they can relay your call to someone who can. 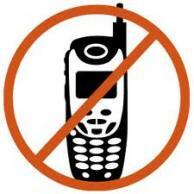 A cell phone has a limited range – ever had a call dropped or been unable to reach someone a short distance away? Away from shore, cell phone signal reliability degrades rapidly. And this assumes that your phone is on the service that is available. 4.) Every marine VHF radio sold now is required to have DSC (Digital Selective Calling) capability. This has actually been the case for a number of years so DSC-enabled VHF radios are fairly common. Push the emergency button and a digital message is automatically transmitted containing identifying details of your vessel and, if connected to a GPS, your latitude and longitude. This is transmitted to Coast Guard and every other similarly-equipped vessel in range. A cell phone has no such capability. 5.) A marine VHF radio is rugged and water resistant. Is your cell phone compatible with water? There is simply no comparison. A VHF radio and a cell phone serves entirely different needs. 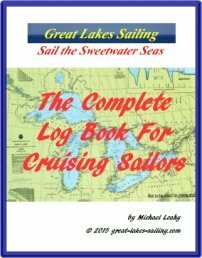 A marine VHF radio should be installed on every boat that is going to venture out onto the Great Lakes. DSC is a method of sending a pre-coded digital message over a VHF radio channel. Each DSC-equipped radio has a distinctive red emergency button under a protective cover. When activated, it transmits the ship's MMSI number on the dedicated VHF Channel 70. 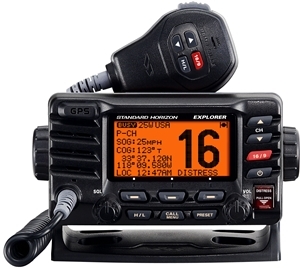 If there is a GPS connected to the VHF-DSC radio, the ships latitude and longitude position is transmitted as well. Coast Guard and private vessels with a DSC-enabled radio will hear an emergency tone over their radio. Coast Guard will automatically send an acknowledgement. The sending station with then automatically stop the distress call and switch to Channel 16, the international distress channel. A private vessel that hears the signal and does not hear the acknowledgement (the distress call keeps being repeated) must relay information about the signal to Coast Guard.